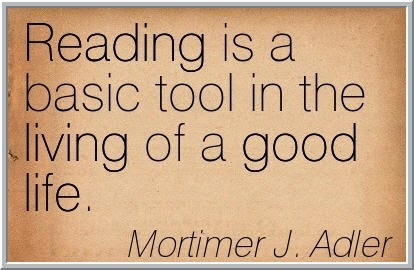 Reading really is amazing...how else could we benefit from the ideas and inspirations from people all over the world at all periods of written history? * Here's a blog from the PriceSquawk site on the advantages of hearing price action rather than watching it. * Quantifiable Edges on how the market would be trading now if it weren't for Fed meetings. * A look at the relative performance of financial shares and lots more financial links from Abnormal Returns. * Upcoming Battle of the Quants program and a worthwhile session on avoiding overfitting data. * Nice visualization of commodity performance for the week from FinViz. * Interesting trading strategies tested out by MarketSci. * Quite a compilation of quant-oriented posts from The Whole Street.